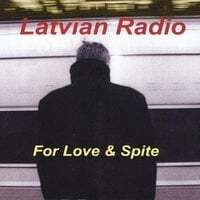 Latvian Radio-For Love & Spite. These New Yorkers return with their latest full-length, another collection of their joyous power pop that will appeal to fans of indie poppers like The Shins as well as traditional power poppers like Brendan Benson. There's plenty to love here, from the jangle pop of "To Find You There" and "On Display" to more reflective numbers like "North of the Keys" and "Stand Clear of the Closing Doors". And with the uptempo melodies of the title track and "Oh No", For Love & Spite is like an instant party you can attend whenever you put on the album. With autumn in full swing, this is perfect record to listen to while enduring the drudgery of raking leaves. 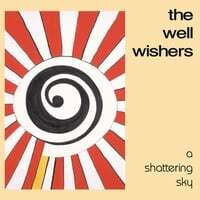 The Well Wishers-A Shattering Sky. Consistency, even when at a high level, can sometimes be a curse. This comes to mind whenever it's time to review a new Well Wishers disc because Jeff Shelton is so good at what he does that it's hard to say anything that hasn't be said over the previous five albums and an EP he's released since I started this blog in 2006. And to a large extent A Shattering Sky, Shelton's latest, is "more of the same". But to paraphrase Animal Farm, some Well Wishers album are more equal than others, and I'd say this is his best release since 2005's Under the Arrows. What made that album my favorite of his were the slower, midtempo numbers like "Only Sky" and "Before the Race Was Run". While all of the WW albums in the interim had the top-notch, driving jangle pop tunes, A Shattering Sky stands out for me with the quality of the slower tracks like "The Last to Fall in Love" and "Right Here at Last". Of course there's plenty of the "full-bodied power pop" (as Shelton describes it) to go around here too, and those tunes are great as well, including the jangly "Bring it Back" and "Goodbye" and the rocking "I Believe". This is the Well Wishers album to get if you only have one (and you should have them all). 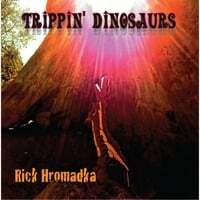 Rick Hromadka-Trippin Dinosaurs. It's been several years since the last Maple Mars album, but frontman Rick Hromadka has kept busy. In 2012, he teamed up with his wife for the excellent Ruby Free album, and now he's completely solo (and I mean COMPLETELY solo as he played all the instruments on the album) with Trippin Dinosaurs. Like Ruby Free, this isn't a replication of his Maple Mars sound but a different type of genre exercise as he goes the psych-pop route with debts to Pink Floyd and The Move. Opener "Conversation" with its "I Am The Walrus"-type vibe sounds straight outta 1968, while Hromadka puts the "pop" in psych-pop with "It's All in Your Head" and "Dreams of a Hippy Summer", the latter which would have been right at home on the Ruby Free album. And "Twice a Sunny Day Tomorrow" will transport you in your head to coastal California. I can safely say that this album has done everything it can to bring back "groovy" as an adjective of favor. The Rip Off Artists-The Intercontinental. Nick Pipitone and Peter Batchelder are back for the first time since 2008's Esque with another round of sophisticated pop. Befitting its title, The Intercontinental is a tale of billionaires' daughters, failed actors, tennis instructors, college professors on the make, and miserable commuters among others. The result is an Elvis Costello-meets-Fountains of Wayne sensibility. So we get "Commuter's Blues", a song to hum along to while stuck in traffic, "Inside the Actor's Studio Apartment" (great title), a (lack of) character study set to a power pop beat, the Beatlesque "Mr. Right and Mrs. Right", where Pipitone and Batchelder trade vocals a la John and Paul, and the bouncy "Bachelor of Arts", in which we meet our sleazy professor. And as we approach the holidays, even "Christmas Eve" isn't safe from their cynical gaze. 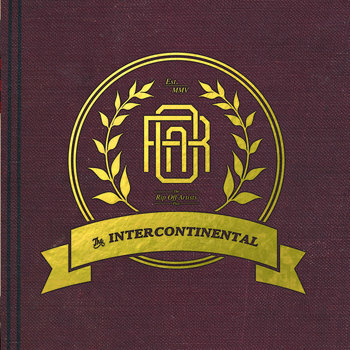 Nevertheless, The Intercontinental is a breath of fresh air in the power pop genre with lyrics that go beyond the usual staples of girls and cars. As best as I can tell, at the moment this is a digital-only release on Bandcamp at the bargain price of $5, money you'd otherwise blow on an overpriced cup of coffee. Currently hospitalized, having surgery shortly, so no new posts until late next week at the earliest. Nothing life-threatening.